My research interests have always been linked to the ecological restoration of degraded lands and the underlying mechanisms that allow the recovery of such environments. My road started with my degree in Renewable Natural Resources Engineering with a special focus in Arid Lands from the National University of Cuyo in Mendoza, Argentina. The emphasis of my studies there was the understanding and the management of natural resources in dry environments. Given my interest in Ecology, in 2006 I started working as a research assistant for several local researchers in topics related to human activities’ impact on indigenous forests of the Monte Desert. Later, in order to gain more experience in the field, from March of 2008 to December of 2009 I worked as an assistant in my Faculty’s Soil Sciences Lab, performing numerous soil analyses for various research projects. At the same time, along with these activities, I worked as Teaching Assistant for tree subjects: Soil Resources, Plants Physiology and Ecology, and as Research Assistant as part of two projects: “Influence of Prosopis flexuosa on the emergence and establishment of perennial grasses in the Monte Desert of Mendoza, Argentina” and “Landscapes’ functionality: Ecological indicators for the characterization of degradation processes”. 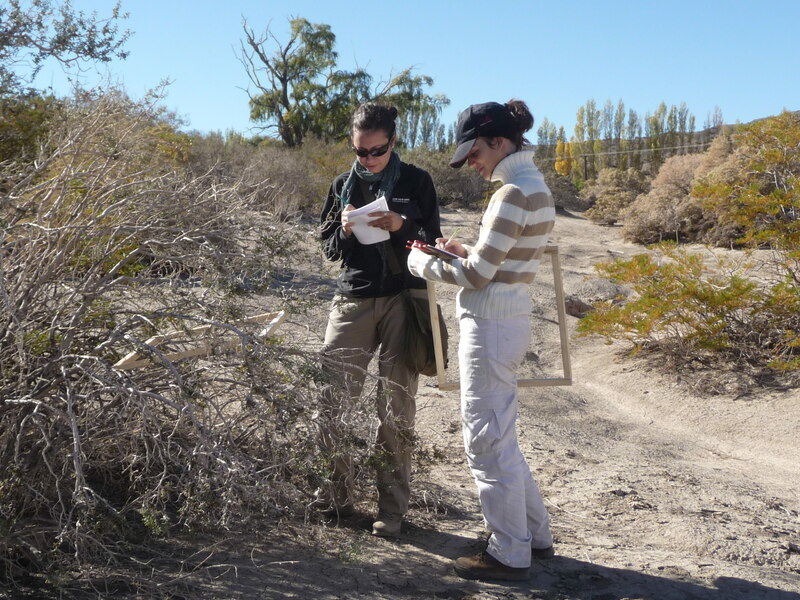 The focus of my thesis back there was to assess the potential recovery after abandonment of farmlands within the Monte Desert biome in Argentina. Specifically, the study aimed to assess whether passive restoration (by halting all agricultural activities and left for fallow) could be an appropriate strategy for the recovery and later conservation of these dry lands. Still focused on degradation, but this time related to Invasion, my PhD took me to the Technical University of Munich in Germany. Here I was granted a full PhD scholarship for three years by the European Commission through the Erasmus Mundus Arcoiris Program. With my PhD project I aimed to find ways to increase the resistance of native communities to the invasion of alien plant species in the context of ecological restoration. By means of a theoretical framework, I designed native grassland communities potentially resistant to alien invasive species and tested them in various greenhouse experiments. Nowadays, my research is still focused Invasion Ecology, but related to plant-soil feedbacks. For further information on my current research interests, please visit the “Research interests” section.